What an enjoyable Blog post subject! Over the coming months we will be exploring the different categories of recommended suppliers here at Coombe Trenchard, giving an insight into the handpicked selection of talented folk that we trust to bring our couples wedding dreams to life. The obvious place to start was Cake. Currently we recommend two cake makers, both possessing enviable skills and enviable access to their delicious creations. 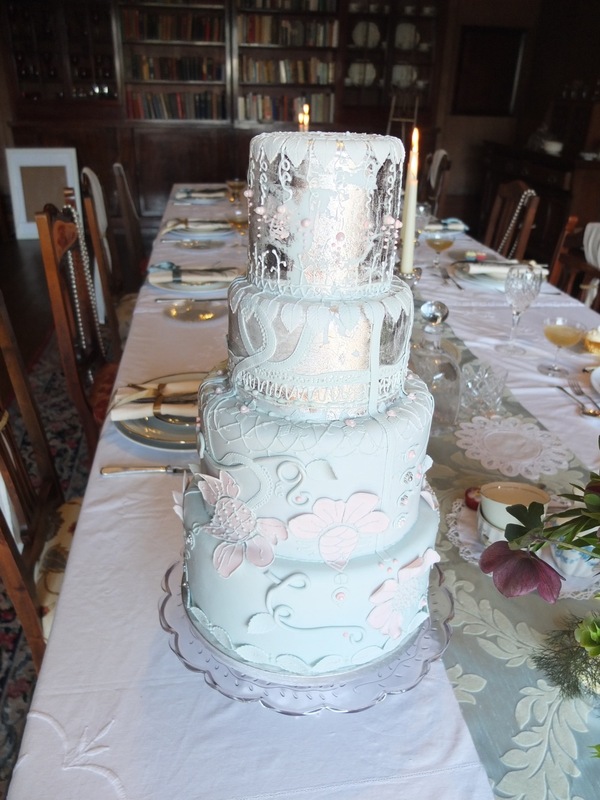 Kate Burt designs and makes exquisite cakes. Elegant and stylish, these cakes showcase the depth of Kate’s passion and experience. Relishing creating such an important component of a wedding (and life! ), Kate’s favourite cake is always the one she is making at the time. We highly recommend booking as far in advance as possible for one of Kates marvellous creations; she is a lady very much in demand! We are always hugely excited to see a Kate Burt cake here at Coombe Trenchard, she is both lovely and wonderfully talented. I think it’s time for a cup of tea and a slice of cake; these pictures are making me awfully hungry!